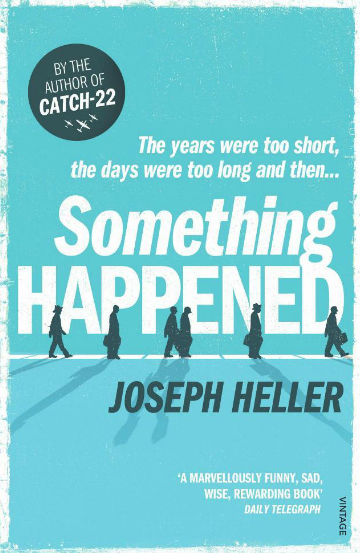 Last year I wrote a piece which suggested, among other things, that Joseph Heller is famous for the wrong book; that Catch-22, while good, is not a patch on his second novel, Something Happened. It attracted many comments, mostly calling me an idiot. I was “mental”, “wrong wrong wrong,” talking “utter tosh,” “showing off”, and simultaneously guilty of “critical cliché” and being “lazily contrarian” (which is a good trick if you can do it). I can’t say that any of these insults made me question my judgement – it’s mine, right? – but I did wonder if the book would hold up after all these years. How many was it again? 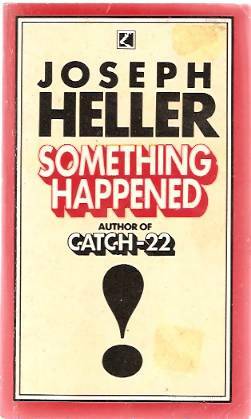 Something Happened was the first Heller novel I read (which in itself might partly explain the affection I have for it). I was 18 years old, at university, and trying to impress a girl who was reading Catch-22. Well, you don’t want to look too obvious by going for the same book, do you? I remember two things about that reading. The first is that it took a full month; I found the book daunting and difficult, but impossible to give up on. The second is that I finished reading it on Christmas Day. (Not a festive experience.) I read it two more times after that, in my mid-twenties and early thirties, and found it hilarious and terrifying respectively. When I decided to read it again, I wondered if being still closer to the narrator’s age, and life circumstances, would make it more resonant (or frightening) than ever. Something Happened seems to me to be the evolutionary apex of the novel of suburban malaise. This type or genre (is it a 20th century phenomenon?) includes Babbitt, The Man in the Gray Flannel Suit, and Revolutionary Road, examples from the 1920s, 1950s and 1960s respectively. These are excellent novels, and they are brave because within a traditional form, they say things usually unsaid about prosperous middle-class Western society. The great struggles of life and death in literature in earlier centuries are reduced and compressed and constricted to the malaise of getting up every morning and getting on with it again. (Martin Amis called this the Theory of Increasing Humiliation.) The traditional form of these novels, which works so well to seduce the reader, is also a limitation: their protagonists are broadly sympathetic, are ‘good men’. (OK, maybe not Frank Wheeler.) Heller, in 1974, shook it up with Something Happened. (Perhaps only American Psycho matches it for taking ennui and turning it up to eleven.) Where those books set their characters’s unhappiness within a story, here the unhappiness was the story. Here was a narrator whose only definite quality was his apparent honesty: he did not know anything for sure. He did not care whether we liked him, and nor, it seemed, did his creator. He told his story in long unbroken paragraphs, mesmerising in their repetition, digressing into pages-long parentheses, but always returning to his favourite subject: himself. He is Bob Slocum, an executive in his forties with an unnamed corporation. In a sense he is the only character in the book, although he tells us about others: his family and his colleagues, past and present. When he, like most of us, spends all his time either at work or at home, what else is there to say? His opinions are self-lacerating, horrible, funny and true. He fears his co-workers and they fear him. His wife, he thinks, is unhappy. He has long, hilarious passive-aggressive exchanges with his boss, Green (“He’s got the whammy on me”), which is an advance on the plain aggressive conversations he has with his 15-year-old daughter. His nine-year-old son, meanwhile, is filled with fear – his family, generally, are filled with the qualities Slocum has given them – and there is a third child, the only one whose name we know: Derek. He is disabled, and it is with him that Slocum’s refusal to look away from his own thoughts reaches its awful apex. When Slocum, straining for a positive, says of Derek, “he suffers less than normal,” it’s a sly joke – and a pretty bleak one. He means not just that Derek suffers less than most children with his disability (“handicap” as the 1970s language in the book has it), but also that his disability means he that suffers less than a ‘normal’ person does. Slocum is suggesting that, without the self-awareness and anxieties that beset us all, Derek is to be envied. There was a cheerful baby girl in a high chair in my house once who ate and drank with a hearty appetite and laughed a lot with spontaneous zest; she isn’t here now; and there is no trace of her anywhere. He extends it to – claims to speak for – humanity in general: “I ought to know by now that hardly anyone over the age of four ever has a good time any more.” You don’t have to extrapolate very far before you get to assertions like, “The world just doesn’t work. It’s an idea whose time is gone.” Its time, presumably, was before the Enlightenment, when men could reasonably suppose a higher meaning to life. Something happened to humanity when it discovered there was no God; something happened to men of Slocum’s generation when the war ended and they faced a lifetime of unremitting afterwards; something happened to everyone who ever grew up from childhood to adult. I have no doubt made the book sound so grim, so perverse and offputting that reading it four times seems only a little less mad than writing it. However Heller, a messy but riotous storyteller in Catch-22, shows control of narrative and voice which makes terrible things into compulsive reading, rather as Thomas Bernhard’s unbroken paragraphs seem initially unwelcoming but propel the reader on. The tension comes from wondering what, among the few events that actually take place in the book (conversations, mostly), will eventually happen. Something does. And if the something is worth waiting for, that’s not to say that the long journey there is a slog. It’s a bizarre delight. Sentence by sentence, Heller peppers the reader with irony, bravery and foolishness, sometimes simultaneously. The telling is technically immaculate: pages of dialogue with multiple counterparties flow faster and faster under the reader’s thumbs. It is structurally brilliant, with Slocum’s story flowing unnoticeably from past to present and from one worry to another – so the reader has no docking points to get off at even if they wanted to. It is a cautionary tale, which offers a compellingly nasty angle on a portion of society and the questions people rarely ask of themselves (“I often wonder what my true nature is. Do I have one?”). It oozes hot grief from the cracks in its tough, cool shell. It chucks a bucket of water over the reader when Slocum is at his most self-pitying: “It is too late to gather me all up and put me together again.” And when he says, “There are things going on inside me I cannot control and do not admire,” is he a proto-Patrick Bateman, or just like you and me? This is a long review of a long book. As someone who likes things to end, I might have reservations about a book which doesn’t end for a long time. And Slocum likes things to end too: “I have never felt only sadness at the death of a friend or relative … Always there has been simultaneously a marked undercurrent of relief, a release, a secret, unabashed sigh of ‘Well at least that’s over with now, isn’t it? '” As Something Happened gets to, and then past, the bit where something happens (page 562 of 569 in my edition), there is more than a marked undercurrent of relief. This is a maddening, magnificent book where the exhausting length is both inexcusable – page after page the same! – and unavoidable. It’s too long, too much – of course it is! A life like this? A page of this is too much; six hundred not enough. I’m tempted to read the book backwards. Now that would really spoil it! Great review, John. I read the Corgi paperback a long time ago, felt all sorts of conflicting things about it, and after reading your thoughts I have an itch to revisit it. How does Good as Gold compare? It stands unread on my shelf. By the way, I got a Log In request for Vonnegut’s review in the NYT, but it’s accessible through Google’s cached page. Thanks guys. Stan, Good as Gold is worth a read: it’s funny, but quite formulaic from what I remember (i.e., it seems to set the lead character into similar comic situations over and over). I haven’t read any Heller novels from after that. Thanks for the heads-up re the Vonnegut link. I must be registered, but it doesn’t cost anything to do so. Very nice review, John. Persuasive. Almost have me tempted to go back and take another look at the book! Is Something Happened “better” than Catch-22? Are they really comparable? In any event, of course he’s “famous” for the right one. Catch-22 is far more the kind of book that becomes famous, isn’t it? That, and the fact of introducing a new phrase into the language, and the amount of time between them, ensures it. The problem for me is that Catch-22 is absolutely superb, and how do you beat ‘absolutely superb’? I read Something Happened a couple of years ago, and it was pretty superb, but not absolutely superb. Your point is unarguable, Richard – it’s all subjective, isn’t it? And I have always been amazed at how quickly the phrase ‘catch-22’ entered the language. All I can say, of course, is that I’ve known it for as long as I can remember, and I was born a dozen years after Catch-22 was published. Is there any record, I wonder, of when it was first used as a common phrase without reference to the book? Oh Tony – I think you got your titles the wrong way around there! I’d concur that Something Happened is the better book, but I’ve never been tempted to retread it, although it’s on the shelf, alongside Catch 22. That book I’ve reread, more than once, although as a kind of comfort reading. It was THE book that opened up my eyes to what novels could do, aged, I don’t know, twelve or thirteen, so, like you I’ve a sentimental attachment to it. But, too, I think that it’s a more rereadable book. It’s expansive, it moves outwards, contains multitudes. 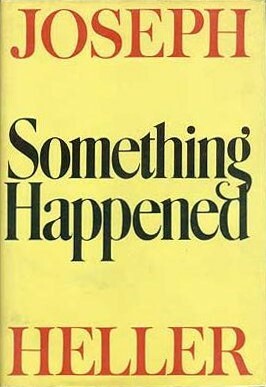 I’m not sure I could reread Something Happened without the knowledge of its devastating denouement (truly one of the most brutal endings to any story I can think of) hanging over the experience. And don’t forget Picture This, in which Heller remembered how to have fun. amazing – i’ve just turned my attention to something happened (spurred by this interview of Joseph Heller, recorded by my local station ages ago– http://www.youtube.com/watch?v=kan1Ez5YIjI) and i’ve been wondering whether or not to pick it up. why is joseph heller not accorded the same respect as other major writers of his age? is he considered a one-hit wonder? so here’s your review to get me going – and i greatly appreciate it. Great review, John. Your newspaper piece on Something Happened convinced me to add it to my wish list. This one has convinced me to buy it now and read it. Outstanding review, John, and I have no doubt that ‘Something Happened’ is ‘better’ than ‘Catch-22’ (whatever that means), even though I have read the latter at least three times and the former only twice. You’ve convinced me of the necessity of a third reading, but I’ll need to track down a copy of the edition I read. In this case, that ability to empathise with Slocum is essential. Ahhhh, fine memories of this book. I always think a good yoardstick is if you can remember where you read a book and my experience of a number of French campsites and my less than water-tight tent was enhanced by this extraordinary novel. This is a novel which really feels like a work of stature, the sort you want to press on friends. The best use of brackets in the history of literature and an ending ranking with the best crafted of all time, but overall a wonderfully controlled novel, with this restraint resulting from Slocum’s dead-pan monologue. Really quite remarkable stuff and an excellent review, John. Catch-22, though, just plumps it for me and in fact changed my life. But the point here is that for anyone to write two novels of this quality is quite staggering. I have to admit that I started reading this with the thought that you were ‘wrong, wrong, wrong’ but ended it thinking you might have a point and that I’d better reread it. Can’t praise a piece any higher than that really! I read Catch 22 as a teenager and, as with Jonathan Gibbs, it was the book that made me fall in love with books. I had no idea then that an ‘important’ or ‘worthy’ book (in the eyes of a fifteen year old) could also be as funny as Catch 22 is. I read Something Happened a few years after that and it just didn’t grab me anywhere near as much. I suspect though, that I was too young to fully appreciate it and that your assertion that “this is a book which requires some degree of identification with the narrator” is probably correct. Thanks for adding another book to my ‘to read’ shelf. I might get to it by the time I’m ninety. I enjoyed this piece, John! Thank you. Frost said the point of writing was to make the next work as different as possible from the previous one. My instinctive thought was agreement. I’m not sure what better book means, but I think this is the better one. Like others though I’ve read Catch-22 more. Curious that. Glad you quoted the line “Virgin for short, but not for long”. When I saw you’d reviewed this it popped straight back into my head, as well as a memory of Virginia sitting on a filing cabinet kicking her heels against it. I think I had a crush on her when I read this, but then I was a teenager. The fact I remember a scene in such a visual way, a scene that obviously I never actually saw (it is after all fictional), says something about the book’s power. The funny thing is I really do remember it as an image, rather than words. Memory, as I suppose Julian Barnes would tell us, is tricky stuff. I wrote about that Josipovici myself by the way, as well as one of his novels. Interesting connection to draw. Interesting in a good way, not the British polite “you must be mad” way. Anyway, marvellous review and of a book that deserves much more attention than it gets. Not as showy, as dazzling, as Catch-22 but extraordinary for all that. Good as Gold was good, but not great. Something Happened and Catch-22 were the greats. A very well written article! I’ve never read Something Happened but as Catch-22 is one of my favourites and based on your review, I am very tempted to go out and get it. Why do you think Something Happened is a better novel than Catch-22? I’m quite interested to hear a comparison of the two (although, admittedly, I recognise that almost all literature is comparable only within itself as a whole – yet I feel that when reviewing novels and claiming one is superior to another in an author’s body of work, one must make it explicit why). Also, I’d like to contend with your point that Catch-22 is ‘messy and riotous’. Catch-22 has a beautiful and effective circularity to it, a novel of ostensible loose ends that are simultaneously woven and unravelled. I find that a ‘riotous’ piece of literature can often be the most beautiful; when, through chaos, an author can achieve serenity, resolution, we seem to witness as readers the greatest achievement of art. Heller does this with seeming ease in Catch-22 because as much as he tells the story, he is equally simply the scribe of that story’s important meaning (or, more accurately, its multiplicity of meanings). 1971: Atlantic Monthly Mar. 47/2: In the opinion of many sociologists, the ‘combination of diagnosis, evaluation, treatment and classifaction’ so highly rated by Dr. Karl Menninger is in fact the Catch-22 of modern prison life. 1972: Observer (Colour suppl. ): 30 July 15/1 The rest have to work for one year before they can send for their families, and then only if they can prove they have housing. But, catch 22, they cannot apply for the Government-subsidised housing unless they have their families with them. Film in 1970; first documented third-party usage in 1971: perhaps it was the film, not the book, that brought the phrase into popular use? Fine review of a fine book, thanks. Great review. After thirty years or so it might just be time to revisit this. It was a bit of a mantra at the time that this was the better book, and that the success of both was largely due to his editor? Thanks Seamus. The editor was the legendary Bob Gottlieb, and a biography of Heller I’ve been skimming suggests there’s an amount of truth in that theory. He cut Something Happened by about 300 pages (can you imagine it 50% longer!) and changed the opening: Heller originally began it with the “office in which I work” section. Reblogged this on The Memetrix. Great review. I’ve always been surprised by this one’s criminal undervaluation, but it’s just as well-executed and, for my money, much funnier and easier to read than his debut. You’re on the money with the comparison to American Psycho- this book could be seen as the progenitor of a whole modern genre of tortured, narcissistic, bourgeois soliloquists, although it also has one foot deep in Beckett. Slocum also reminds me of Raymond Carver’s narrators, mostly unaware of how sad they really are.